This year we were able to meet the challenges of contemporary publishing and release Mindful Emotion alongside three new volumes of the Complete Works of Sangharakshita. We would like to extend a big thank you to those who made this possible – the books exist due to your collective generosity. 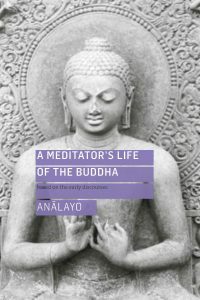 In Winter 2017/Spring 2018, we plan to release two new titles: Anālayo’s A Meditator’s Life of the Buddha: Based on the Early Discourses and Vajragupta’s Wild Awake: Alone, Offline and Aware in Nature. What is it like to be completely alone, attempting to face your experience with only nature for company? Buddhist teacher and author, Vajragupta, has been doing just that every year for twenty-five years. Here he recounts how these ‘solitary retreats’ have changed him, how he fell in love with the places he stayed in and the creatures there. He reflects on how the outer world and his inner world began to speak more deeply to each other, and how there were moments when the barrier between them seemed to dissolve away. 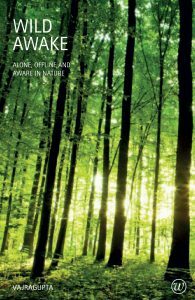 Also includes an ‘A-to-Z’ guide of how to do your own solitary retreat. Once again, we are asking for your help to make this happen. Our target for each book is £4,000, and as with our other sponsorship campaigns, if you donate £30 or more, we will send you the print edition and the eBook download of the book you have sponsored on publication. Can you help us publish these informative new books? You can make a donation, from anywhere in the world, on our website. Any amount that you can give will be greatly appreciated.